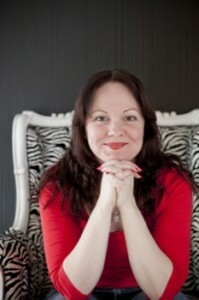 My copy: the publisher for review, thanks! You can read a sample of Aurora: Darwin on the Momentum books site! It’s been a while since I read a proper hard military sci-fi. Often they are cold, violent stories with few realistic characters, and while Aurora: Darwin doesn’t hold back with the violence, there are plenty of opportunities to connect with the crew of the Aurora before the action starts. I was even a bit disappointed when they arrived at the Darwin because I was quite enjoying reading about how the original crew were reacting to suddenly having three women in their previously all-male domain. The story is told from two alternating points of view – Captain Saul Harris, who knows something is up with this mission even before he accepts it, and Corporal Carrie Welles, a young Aussie sharpshooter, new to Space Duty but desperate to fit in and prove her usefulness. The rest of the crew are various nationalities and backgrounds, including the two other women sent along with this mission as a supposed PR exercise. There were a few things about this story that I didn’t really buy. Firstly, several of the crew members of the Aurora question orders, including Captain Harris. Now, I’m no military expert, but I’m fairly sure that orders aren’t there to be questioned and in the real Earthly armed forces you’d get your arse kicked pretty severely if you defied orders as much as Carrie does. Then there was the Darwin. If your crew had just been attacked by vicious hostiles of unknown abilities and you knew they were locked off your ship, why go back in after them? Especially when there’s backup on the way! I just couldn’t understand why they were so keen to get back into the Darwin and find the baddies, when they were pretty obviously out-gunned. I mean I realise it wouldn’t have been such a great story if they’d held back, but it just seemed like a really dumb decision to me. One last thing that I didn’t like so much was the ending – without giving anything away, the story peaks at about the 80% mark and I was rather underwhelmed by such an anticlimactic wrap-up after that. Plot problems aside, I really enjoyed reading this story. The action scenes were great and although the character-building scenes slowed the pace a little at times, the tension was kept high throughout the story and it’s pretty nail-bitingly scary at times! The characters themselves are interesting and their relationships and banter are what made this story a really enjoyable read. 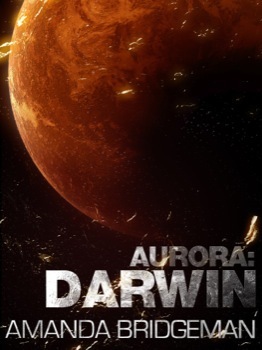 I’d recommend Aurora: Darwin to anyone who likes their sci-fi to be about realistic people, and not overly technical. There’s a sequel on it’s way later in 2013 – Aurora: Pegasus. I’ll be interested to hear what the Aurora‘s crew get up to next. She is a writer and a film buff. She loves most genres, but is particularly fond of the Spec-Fic realm. She likes action, epic adventures, and strong characters that draw you in, making you want to follow them on their wild, rollercoaster rides. Hmmm. I don’t think that this one would be for me. It is a little too “deep space” I think. Thanks for the review!